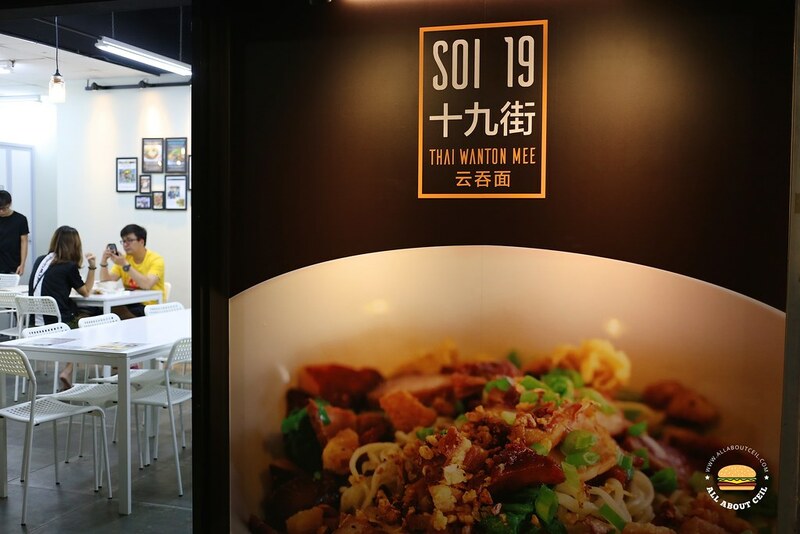 Mr Alan Ng, 63, the founder, started the first outlet of Soi 19 Thai Wanton Mee in a coffee shop along Ang Mo Kio Avenue 5 in March 2013 followed by the second outlet at Jurong East in April 2016. 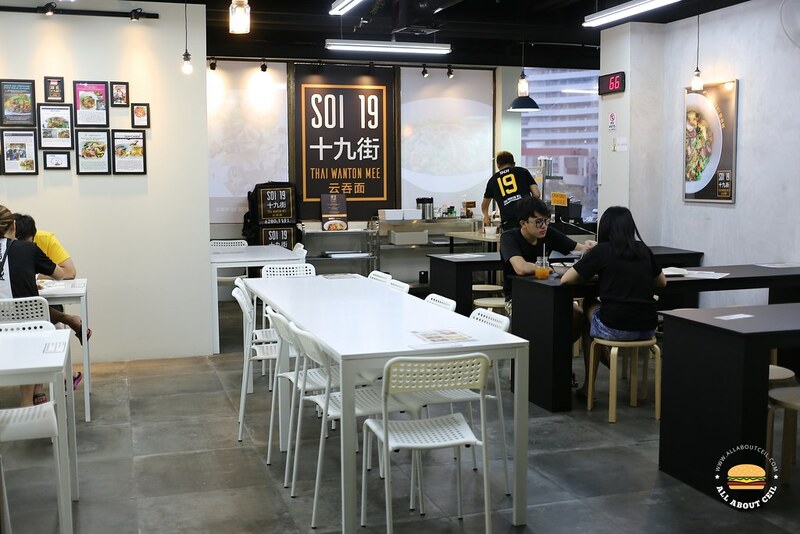 Then, the third outlet opened on 24 April 2017, an air-conditioned cafe at Serangoon Shopping Centre. Apparently, this location is chosen for its practicality as the rental there is amongst the cheapest in the area. They set up their central kitchen here as they want to ensure the consistency of its food quality of all the outlets. This is also where they do their delivery service. 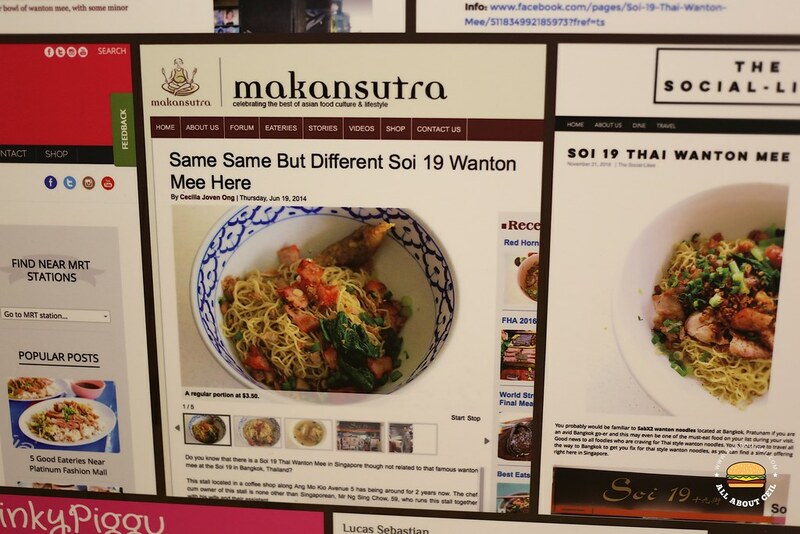 And no, they are not related to the Sabx2 Wanton Noodles located at Soi Petchuri 19 in Bangkok. I came across the article that I wrote about them on Makansutra in June 2014 near the entrance, amongst the others. 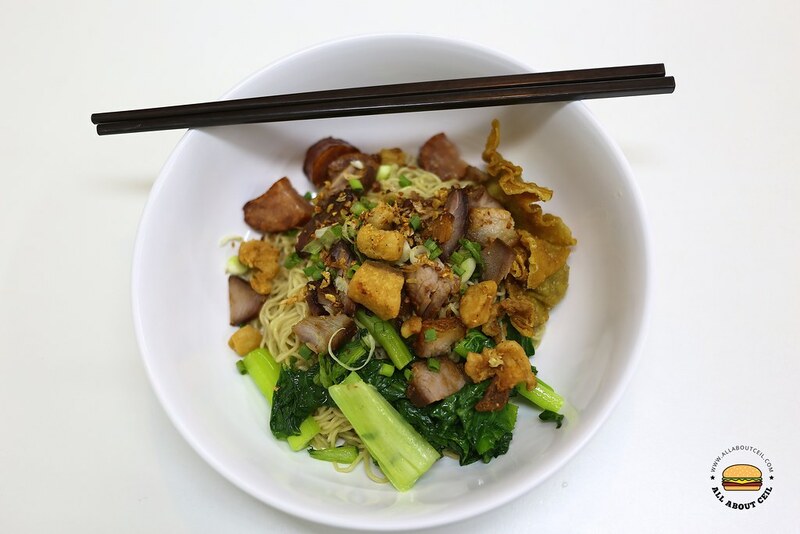 There are 4 choices for their signature wanton mee, there are the Regular ($4), Regular Extra ($5), Large ($5) and Jumbo ($6). I always go for the large size for a more substantial portion. 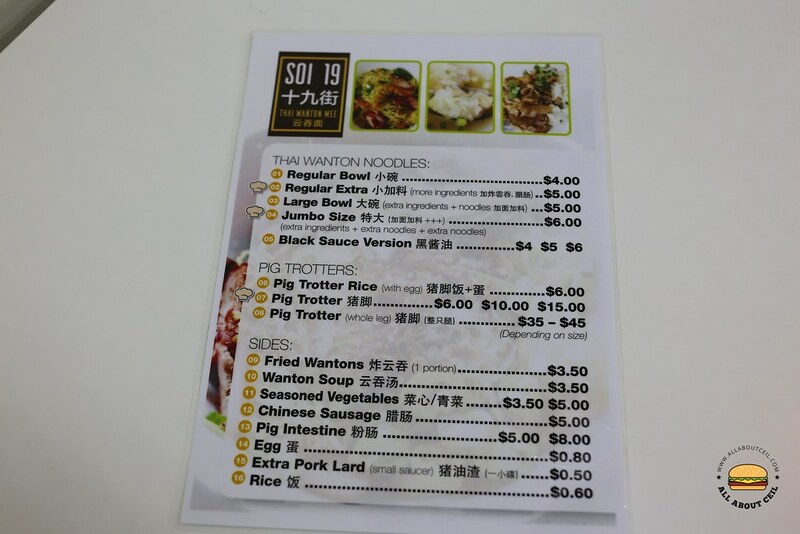 There is even a dark sauce version for those that are not used to eating the Thai style wanton mee. 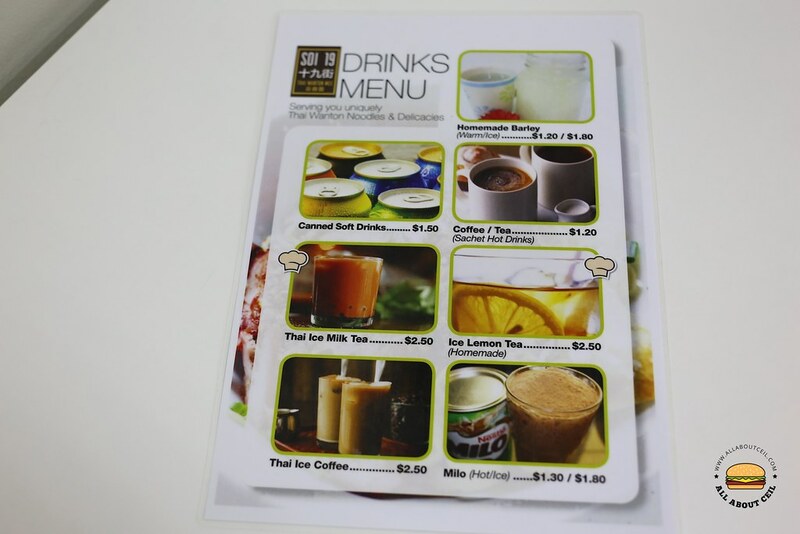 There is also Pig Trotter Rice ($6) on their menu together with drink options like Iced Thai Milk Tea ($2.50), Iced Thai Coffee ($2.50) as well as Homemade Barley ($1.20 for hot / $1.80 for cold) and Coffee / Tea ($1.20). Iced Thai Coffee was not available on the day that I visited so I went for the Iced Thai Milk Tea with a large portion of wanton mee. I was told to take a seat and it will be served to the table when is ready though there is a 'Self-Service' sign displayed at the counter. 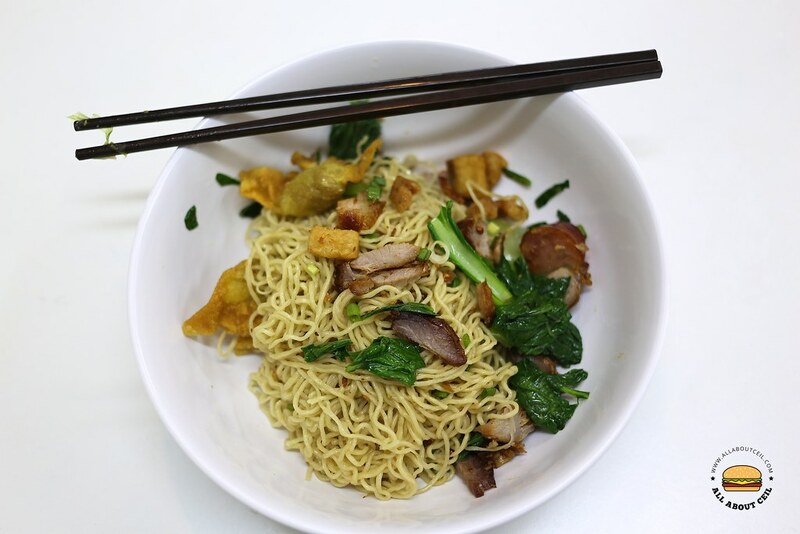 Their egg noodles are different, it is light as well as springy and served with ingredients like the fried wanton, slices of char siew, waxed sausage and fried pork lard, tossed in a bit of oil and with a dash of fish sauce then added in the dried chilli flakes and preserved green chillies to complete it. 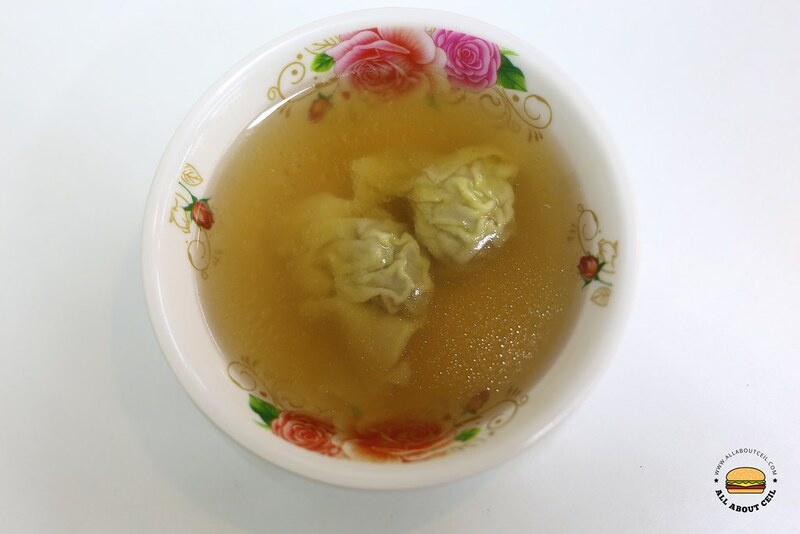 It was also served with 2 pieces of wanton in the soup. The dried chilli flakes and preserved green chilli are available at the counter for self-service. The fried pork lards are not free-flow over here, it is available at $0.50 per saucer or $3.00 for a small plastic container. 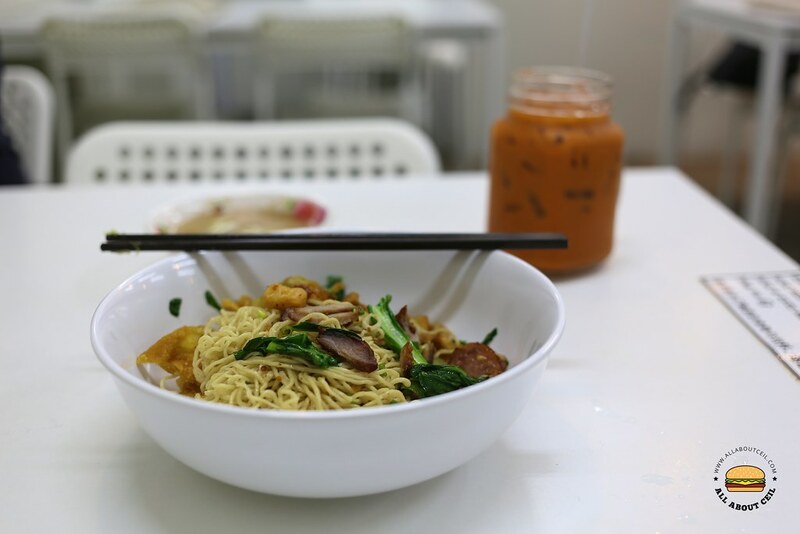 It was generally nice though not quite as memorable as my very first bowl of their wanton mee that I had about 2 years ago.